What caught the eye of Media Myth Alert was the Post’s unsourced claim that Thomas had once asked President Richard M. Nixon “point-blank what his secret plan to end the Vietnam War was.” I sent an email yesterday to Patricia Sullivan, author of Thomas obituary, asking about the unsourced claim; she has not replied. The only proximate reference I could find to Thomas’s having posed such a question was at a White House news conference on January 27, 1969. Given her seniority, Thomas was granted the first question. “Mr. President,” she asked, “what is your peace plan for Vietnam?” Peace plan, not secret plan. According to a transcript of the news conference that the Washington Post published the following day, Nixon focused his response on the Vietnam peace talks then underway in Paris. The issue here is greater than a possible error in a glowing tribute — so glowing that the obituary waits until the 12th paragraph to mention Thomas’ ugly remarks about Jews, which ended her career in 2010. The notion that Nixon campaigned for the presidency in 1968 on a “secret plan” to end the Vietnam War is a hoary assertion that circulates still, often invoked as telling evidence of Nixon’s duplicity. The claim is of thin grounding. “That sinister phrase — secret plan — has resonance to veteran rhetoricians and students of presidential campaigns. In the 1968 primaries, candidate Richard Nixon was searching for a way to promise he would extricate the U.S. from its increasingly unpopular involvement in Vietnam. The key verb to be used was end, though it would be nice to get the verb win in some proximity to it. “One speechwriter came up with the formulation that ‘new leadership will end the war and win the peace in the Pacific.’ Nixon made it part of his stump speech, and the juxtaposition of end and win — though it did not claim to intend to win the war, but only the peace …. It does sound a bit slippery, a bit Nixonian. But it’s no claim of a “secret plan.” So there seems little substance to the notion, which Thomas embraced in her book, that Nixon campaigned in 1968 on a “secret plan” to end the war. 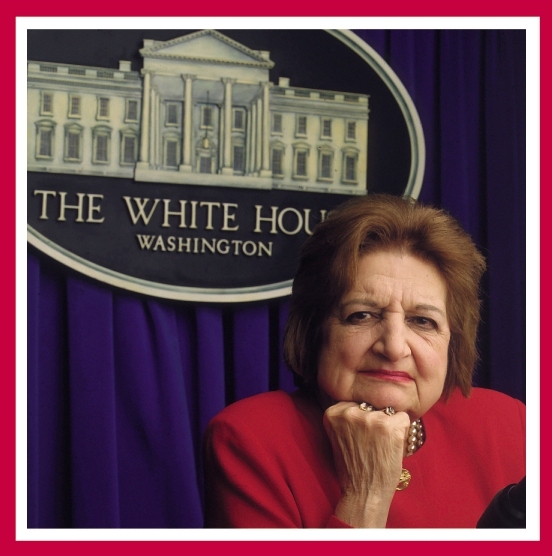 Helen Thomas and Iraq War: What’s she talking about? PBS set to embrace ‘mass hysteria’ myth in anniversary show on ‘War of Worlds’?